Located in the heart of Wynwood, Flavian Gelateria Artigianale brings authentic artisanal Italian gelato to Miami. Flavian Gelateria opened in March 2018 and is located inside the Wynwood Block, diagonally from the famous Wynwood Walls. 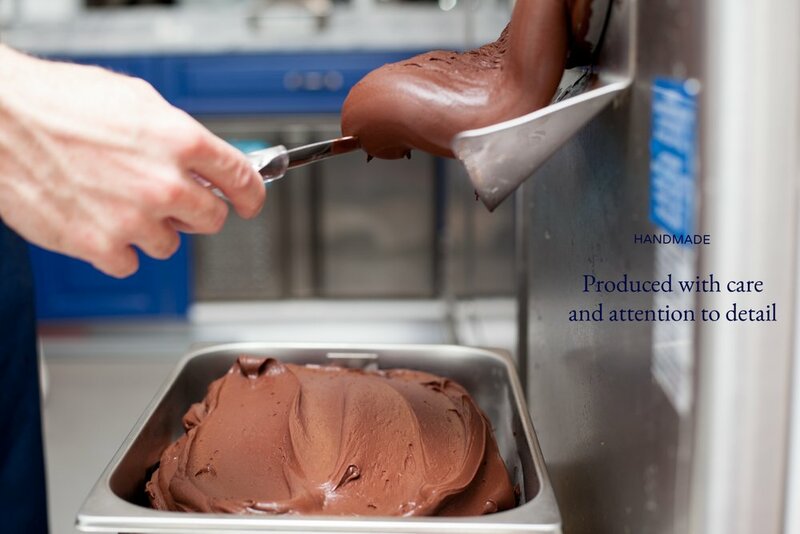 Since then, it has been offering uncompromising all-natural artisanal gelato made from local dairy and fresh produce. Serving Italian classics like Stracciatella & Zabaione while pushing boundaries with signature flavors like Pear and Ginger, Caramelized White Chocolate & French Lavander. Flavian Gelateria's interior evoques a nostalgic feeling resembling a small European boutique, with warm wood finishings and striking Carrara marble tops. The ambiance is elegant without sacrificing a welcoming and cozy sensation. The production kitchen or "Laboratorio Artigianale" is viewable from both inside and outside the store, offering complete transparency and insight into the artisanal production craft.